Whether his medium of the hour is the ink of a Bic pen, lead from a pencil, or acrylic paint, UK based @ArtbyAz is a wizard. 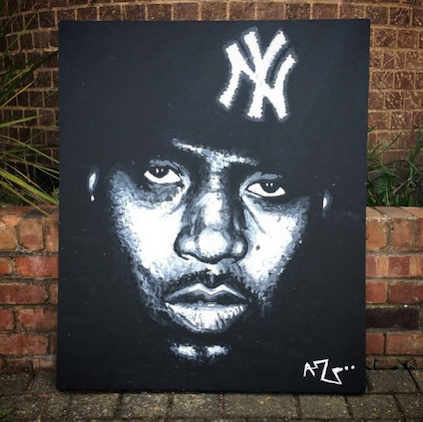 His wispy pen and ink portraits of contemporary hip-hop and grime stars are a sight to see. Check out some of our favorite pieces by @ArtbyAZ below.